Today, we are attending my niece’s wedding in beautiful Kentucky. Weddings always make me reflect on our own. It’s been 4 years since we said “I do” and what a 4 years it has been. Marriage is not all rainbows and butterflies. It is work. It takes teamwork. There have been a few things I have learned since our big day and want to share that with you. When we were planning our wedding, I was working for a retinal specialist and our patients were predominantly 60 and above. I loved seeing couples come in and I would often ask them for marital advice. The most popular answer was “marry your best friend”. Yes, I’m aware that it sounds clique, but I totally agree with that answer. Steve is my best friend. I enjoy being with him, even if it’s sitting quietly next to each other on the couch. He has seen me at my best and my worst. We were friends for 8 years before our first date so we had time to really get to know each other. Our romance may have been whirlwind (2 weeks after our first date, he told me that he loved me and asked me to move it), but our friendship had already been cemented. I believe you should marry someone who you can go on adventures with, be silent with, cry with and laugh with. LAUGH! I think sometimes people have a false idea of what marriage will be like. It is not perfect. Perfection doesn’t exist. It’s work. But it’s also a lot of fun. Things will get tough. That’s a guarantee but I think it’s so important to enjoy life and laugh with each other. Talk. To each other. Communication is so important. I think it’s so important to communicate with each other when there is an issue. Don’t take those issues to your friends, or family, or coworkers. Obviously, there are exceptions to this if you are in danger, but I am referring to the every day annoyances. Don’t complain about your partner to other people. “Oh, she’s such a nag” or “He is such a jerk”. This affects how others view your partner and it’s also downright disrespectful to your partner. We want to know that our heart is safe with our spouse. When you say unkind things to others about them, it makes them feel unsafe, even unloved. Make time for each other. This can be so tough once you have children. I know. Our first year with the twins was so crazy. We had one date night and that was just before their first birthday. It doesn’t have to be a night out on the town. It can simply be sitting down after the kids are asleep or when they are off playing and just talking and reconnecting. Remember why you fell in love with your spouse. Remember the first kiss, the butterflies, the late night talks in the kitchen. Marriage is not 50-50. It’s 100-100. Both partners have to give it all they’ve got. Divorce is 50-50. Remember that. 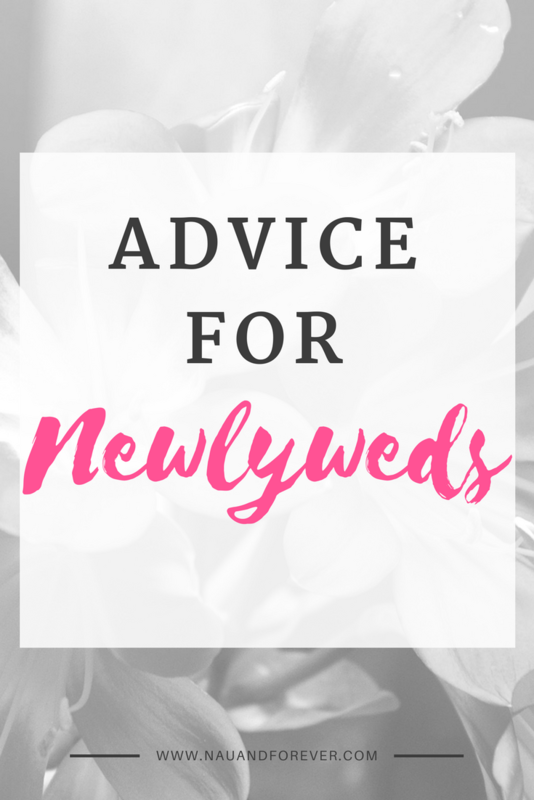 What is the best advice you’ve received or have for newlyweds?